The aerobic system forms the base of the pyramid, without a strong base we cannot support the layers on top. This means that if we have a poorly developed aerobic system then the anaerobic systems will not be able to function optimally. During anaerobic periods of work we produce metabolic by-products, the faster these by-products accumulate the quicker you fatigue and experience the crash. Once this happens your body relies on the aerobic system to clear out these by-products and re-stock the mechanisms of anaerobic metabolism, basically your ability to recover! This 'recovery' refers to intra workout recovery (mid wod), recovery between sets or recovery between training sessions. This essentially means that without a strong aerobic system our anaerobic systems are also limited.The faster your aerobic system can produce energy the less we have to rely on the anaerobic systems and the better conditioning you have. Not only that, but more aerobic power means that the anaerobic systems can re-charge much faster so they can contribute more power when you need them. "But CrossFit is anaerobic right?" Wrong! Whilst we have three main energy generating systems that are required for different intensities of work, it is never a case of a single energy pathway being active and the others dormant, they work synergistically, all operating at the same time. During an all out max effort period of work, crossover to aerobic dominance occurs after approximately 20-30 seconds. During sub maximal (but intense) effort: Crossover to aerobic dominance occurs after approximately 60-75 seconds. So unless you have a very short, super intense period of work, you are primarily using your aerobic energy system to generate energy. So the vast majority of workouts that we do, or the majority of sports you play, are powered by the aerobic system. To perform well in CrossFit, 5km races, triathlons, tough mudders and so on we need a strong aerobic system with the ability to buffer anaerobic energy production when workouts require you to push onto into the anaerobic pathways. “Are we doing long, slow distance?!" No! Here are some of the methods we will be using over the cycle and what it may look like in a workout setting. Aim: Improve oxygen supply and delivery of oxygen to vascular network. How: Longer work periods of 30-90 minutes, at lower heart rates. Example: This will be a great opportunity for us to focus on skill work and some of the more complex movements. The goal is to keep you guys moving at a low level for almost the whole 60 minutes of the class. Aim: Improve oxygen supply at higher intensities, increase in contractile strength/endurance of cardiac fibres, increase in mitochondrial density. Example: We have done many interval workouts like these before, so these should be nothing new. Aim: Stimulate hypertrophy of slow twitch fibres which play a role in aerobic, anaerobic and muscular endurance. This is also great for working positional strength and can be applied to barbell and gymnastic movements. Example: We have applying Tempo work very recently. Aim: Increase aerobic systems max rate of ATP (energy) production, raise anaerobic threshold. How: Longer, high intensity intervals. How: Cycles of increased work/decreased rest each week. This can be applied to barbell movements, but can be pretty potent at developing gymnastic movements. Think of movements that can be fast and explosive. A lot of these methods can be made more effective by utilising different heart rate intensities and heart rate recovery periods. We will talk more about these in another post. 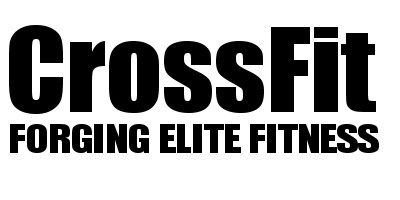 So are we still doing CrossFit? Sign up with your email address to receive Health & Fitness tips. Your personal information is just that – personal, so we always treat it with the highest standards of security and confidentiality, and rest assured, we never pass on, sell or swap your information with any other company for their own marketing purposes. Thank you! Your personal information is just that – personal, so we always treat it with the highest standards of security and confidentiality, and rest assured, we never pass on, sell or swap your information with any other company for their own marketing purposes.